Cardinal Parts, Diesel USA Group's online store for parts ordering. Tired of Replacing? Like any Diesel owner, you value your engine's performance and don't want to put just any generic part into your vehicle. 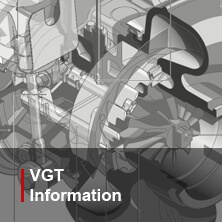 Only Genuine Holset Turbochargers (Cummins Turbo Technologies) provide the benefits of the latest upgrades in materials, component design and workmanship you demand for your engine. So no more replacing, find your Genuine Holset Turbo today and get back the performance you expect and deserve from your engine. Contact any Diesel USA Group Location or visit Cardinal Parts, Diesel USA's online store to buy your Genuine Holset Turbochargers. 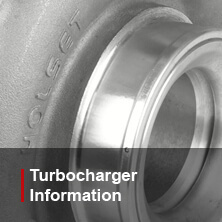 Holset Turbochargers are the only manufacturer that focuses solely on medium to heavy-duty diesel engine turbo technologies. With thousands of dollars at stake every minute, equipment uptime is critical. So you can't afford to take the risk of using non-genuine parts. 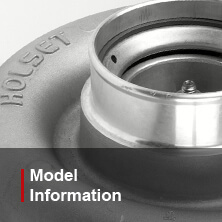 Genuine Holset new and reman parts include the latest upgrades in materials, component design and workmanship. So you aren't just replacing a worn part - you're improving the performance of your engine and your equipment. Holset turbos are made to highly specific standards, not only to deliver the power owners demand, but also to keep diesel engines performing at top efficiency year after year. Today's top diesel trucks work at the molecular level to atomize fuel with finely tuned air and fuel pressure maximizing fuel efficiency, while it's component parts are performance matched to control emissions. That is why using the correct replacement parts is more important today than ever before. My Holset Turbo is a website created and maintained by Authorized Holset Distibutors, the Diesel USA Group. This websites purpose is to help educate customers about the benefits of utilizing genuine Holset products. Neither Holset, nor Cummins are responsible for the content displayed. By using this website you are agreeing that you are using it for no other purpose than to obtain more information about where to purchase authorized Holset replacement parts and services. To contact My Holset Turbo, fill out the form (by clicking the link below) and send us any inquires or suggestions you may have for us.